1. The Battle of Bannockburn: the site, the tactics and the moment by moment events over the two days. Powerpoint versions of the battle maps can be shown. The making of the maps explained. The justification of these maps took years and is never likely to be equalled, because of continual changes to the landscape which was caught just in time to be understood. 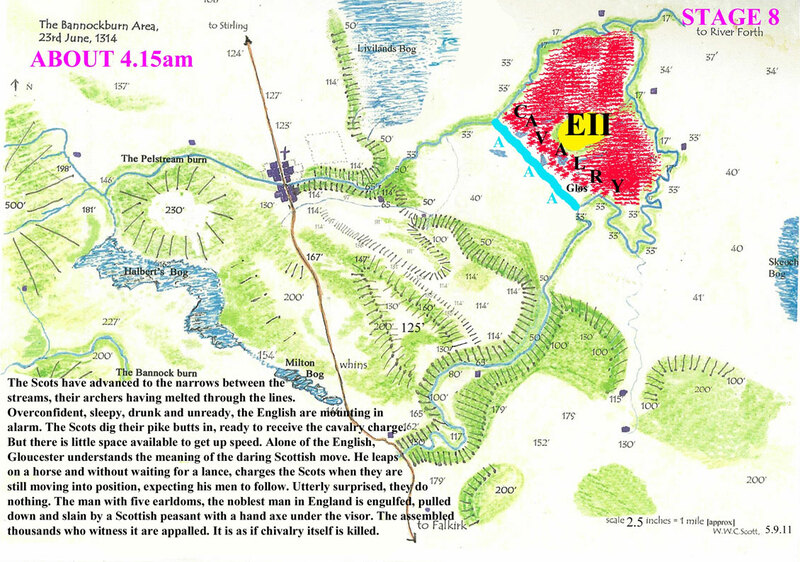 The position of the battle lines and where Bruce slew de Bohun will be proved. 2. Topography of Bannockburn in 1314. Making a justified map. 3. The Bute Witches: the cause of the witch hunt in Bute, the details of the people accused, the accusers, the names of those burnt and their prosecutors. What caused the witch hunt? 4. Computing the Population of an area and of Scotland in early times: with reference to the Bannockburn Area in 1314 and 1750 and the Island of Bute in 1662. How to use maps, statistical surveys and reported visits by early travellers to accurately determine populations in the past. 5. General William Roy and his maps: these maps are brilliant. 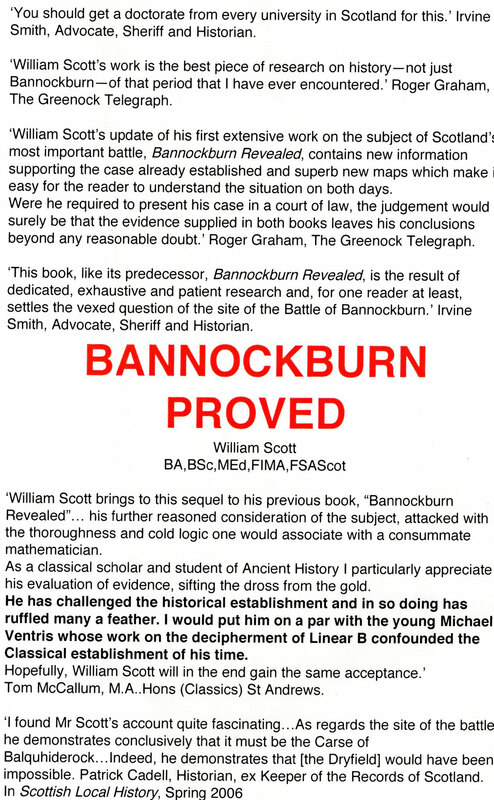 The author will explain why with reference to his extensive studies of them, of other maps and the ground they refer to, one aspect academics are notoriously ignorant of, because of lack of energy and time for close investigation. 6. The White Rajahs of Sarawak: The author lived in Brunei, studied in the Rajah's library in neighbouring Sarwak and was offered the papers of the man who would have been 4th Rajah if he would write a biography. There are are many slides for this talk. Piracy in the 19th Century. 11. New approaches to historical research. You are visitor 522 to this page! !